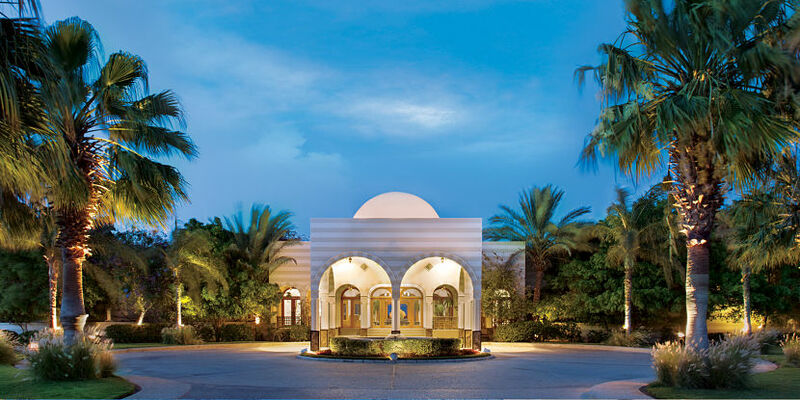 The Oberoil Hotel, Sahl Hasheesh is an all-suite, spectacular 48-acre hotel, just 30 minutes drive from the Hunghada center. 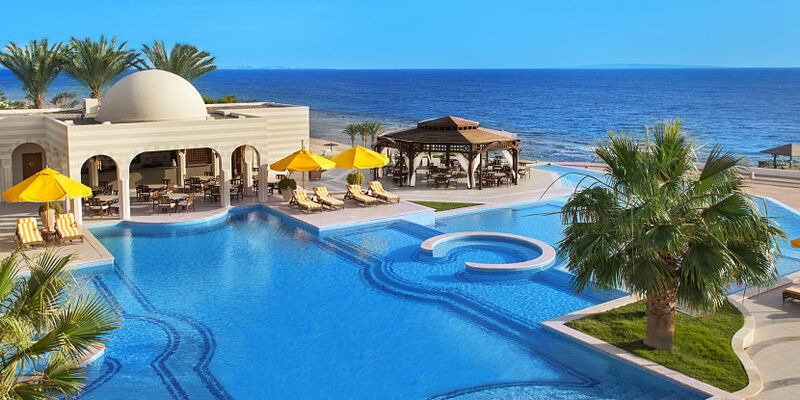 Comfortably situated upon the Red Sea shores, the hotel is the ultimate destination for groups of friends, families, couples, or honeymooners. 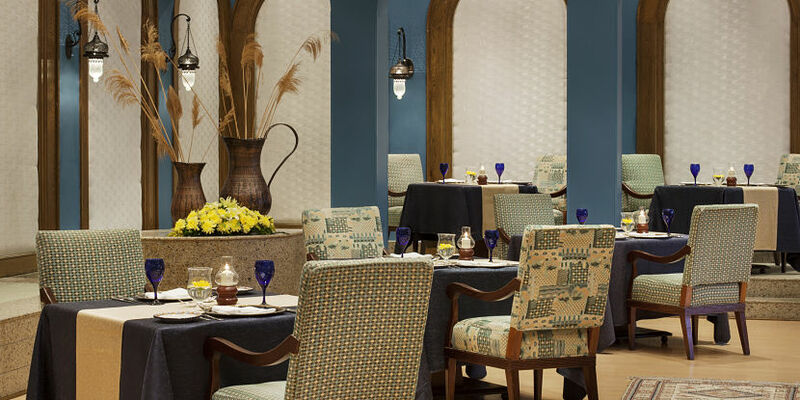 The Oberoi Hotel features spacious, Arabic style accommodations and restaurants with long corridors and domed ceilings and lighted by traditional lamps. The hotel is 25 minutes from the shopping center and nightlife, and just 20 minutes drive from the Hurghada International Airport. 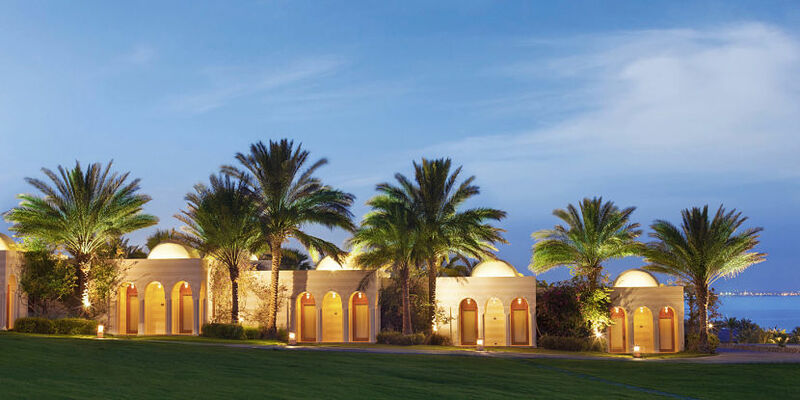 A stay at the Oberoi Hotel, Sahl Hasheesh promises to provide you with legendary service, luxurious rooms, serene surroundings, and more. 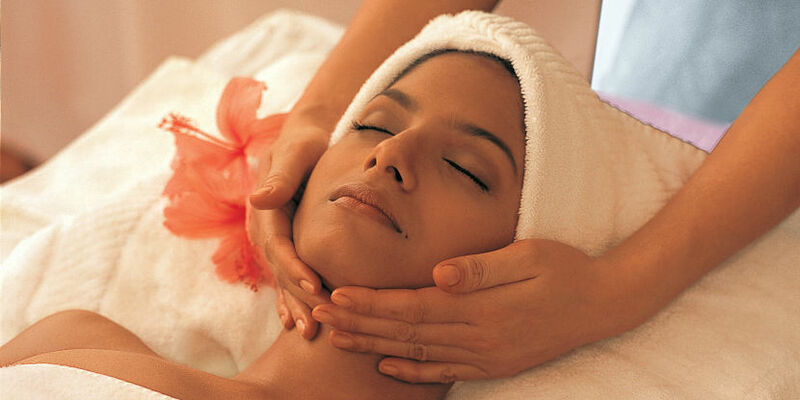 The Oberoi experience that you’ll have in your visit here will be something that you will never forget very soon. 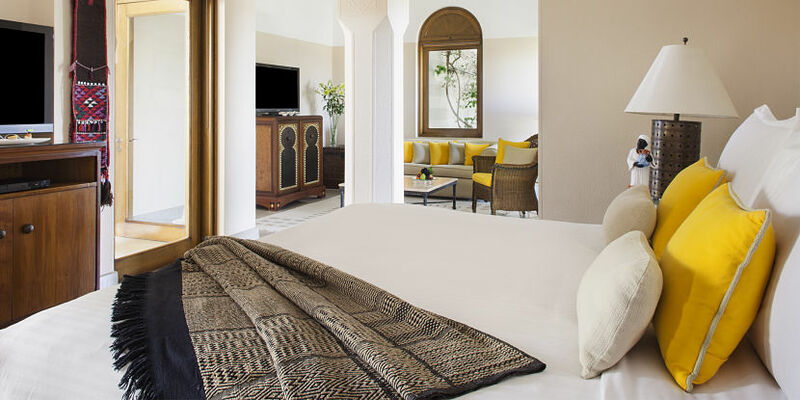 All the suites have uninterrupted views of the Red Sea and the gardens. The diving center which is certified by PADI (Professional Association of Diving Instructors) offers deep sea fishing, diving, and snorkeling. 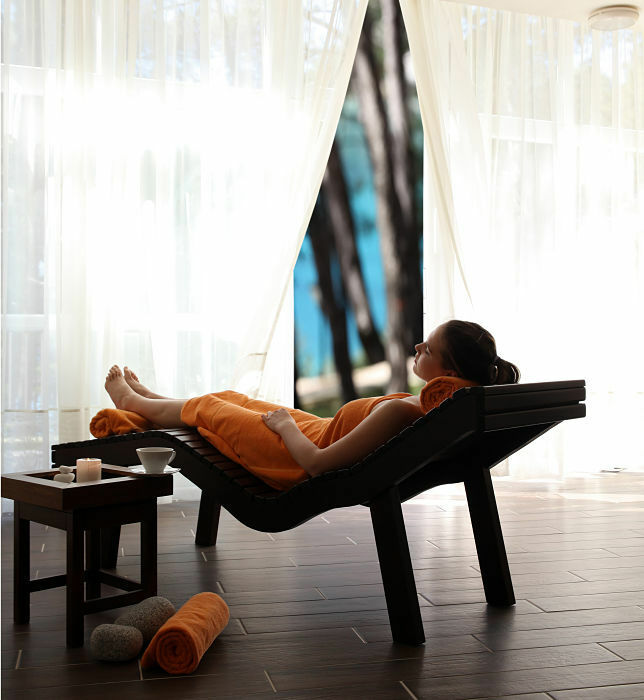 Spend some time at the spa for your wellness. Avail of the massage services and various therapies offered that promise to make you feel good, and the salon services that will make you look good as well. The Royal Suites are 225 sq. m each, and feature king size bedrooms, living rooms and pantry. 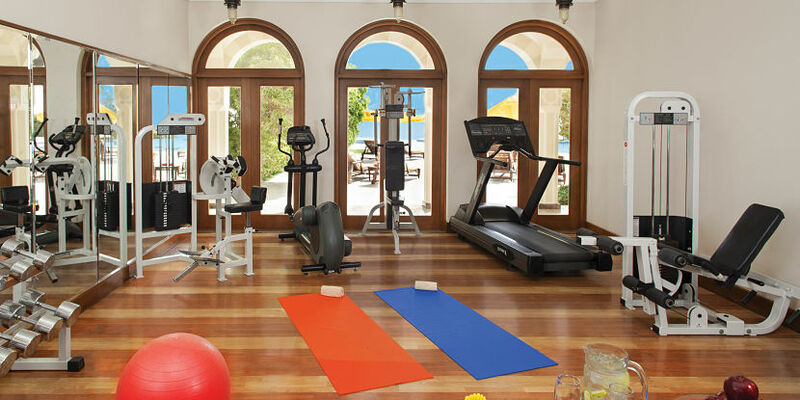 The suites also have marble bathrooms and private swimming pools accessible through the living room glass doors. 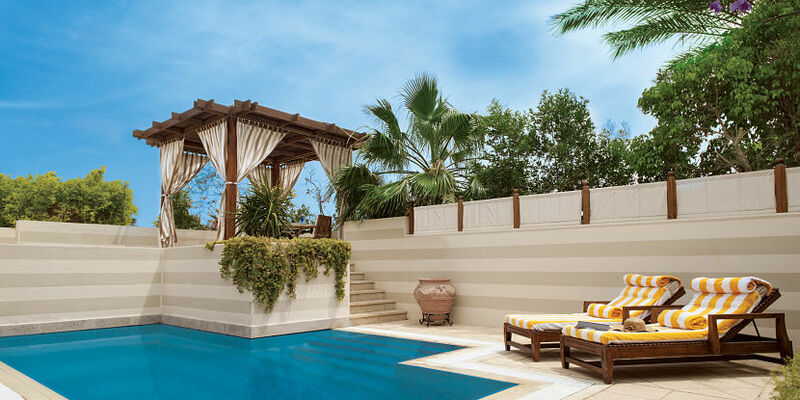 Canopied pavilions for poolside dining are also provided, as well as 4-seater table and chairs for indoor dining, and exclusive and romantic dinners. The marble bathrooms boast of sunken bath tubs and showers with various pressure settings. 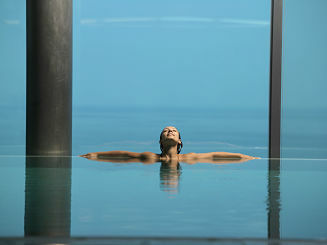 Grand Suites With Private Pools are 125 sq. m. each, and have access to private pools with wide parasols and sun loungers. Enjoy your swim in private, or just relax by the poolside with a meal, snack, or drink prepared and served by the hotel’s dining team. 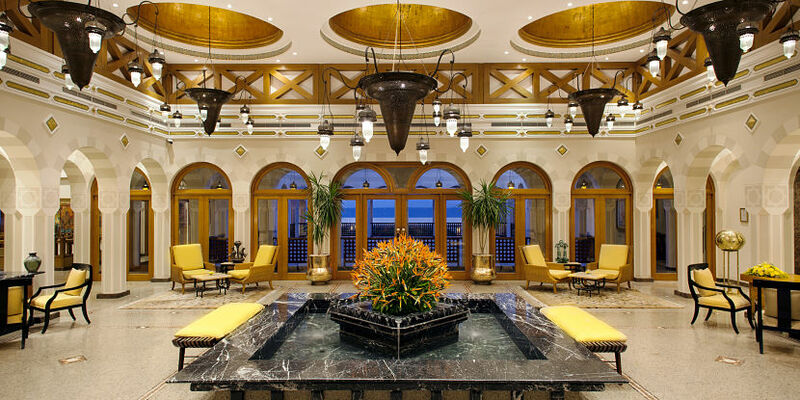 These suites have large windows that allow a view of the Red Sea and the manicured lawns. The luxurious bathrooms offer marble, sunken bath tubs and showers, and are the perfect places to refresh after diving or a day on the beach. Superior Deluxe Suites measure 85 sq. m. and feature King size bedrooms, lounge areas, walk in wardrobes, and marble bathroom. 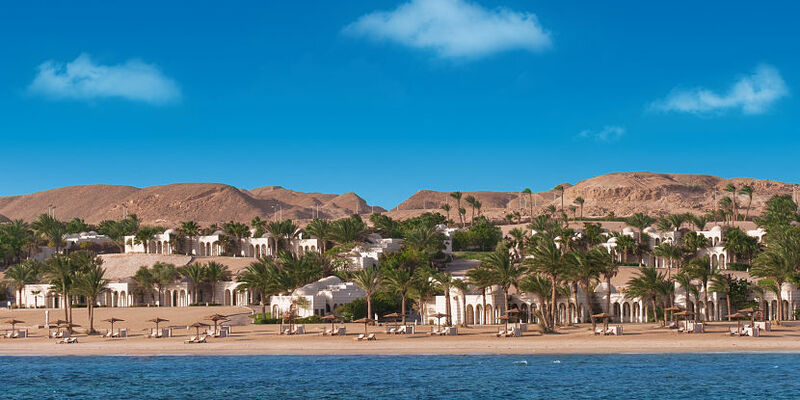 The suites are located on the beach front and caressed at night by the sea breezes while offering a view of the Red Sea by the day. The marble bathrooms, as in other suites, feature variable pressure showers with sunken, marble bath tubs. 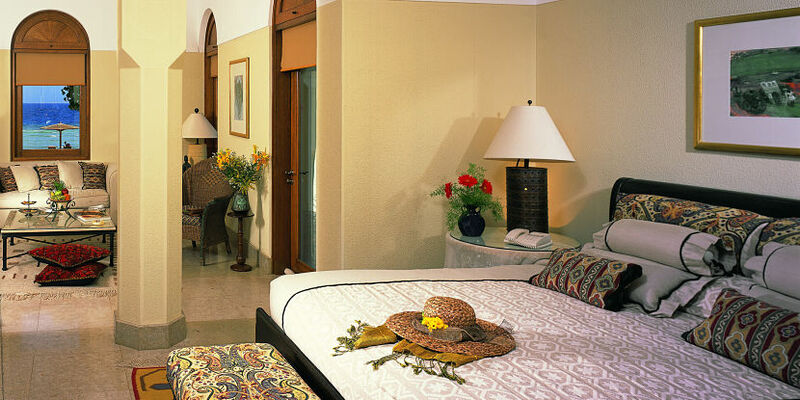 Deluxe Suites offer a King size bed and are furnished with a 2-seater sofa and stylish cane chairs. Also at the Deluxe suites are personal bars and modern conveniences that include iPod docks, 42” LCD TVs, DVD players, plug points, and international plug adapters. The bathrooms have fabulous bath tubs as their centerpieces, separate multi pressure showers and double wash basins lining the glass walls. The Restaurant serves international cuisine. 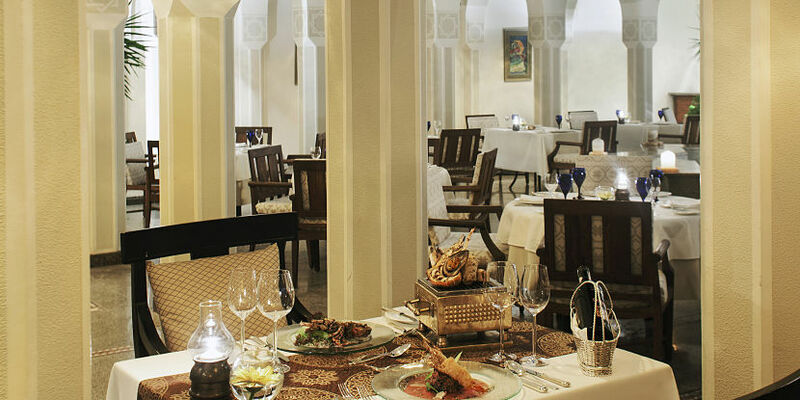 They are open all year round, serving breakfast and dinner, with views of the Red Sea and the hotel’s landscaped gardens. Live music will entertain guests every evening. Pergola is open only from lunch up to sunset, and specializes in the Far Eastern and Mediterranean cuisine. This is a dining space by the poolside with marble tables, and cushioned wooden chairs. 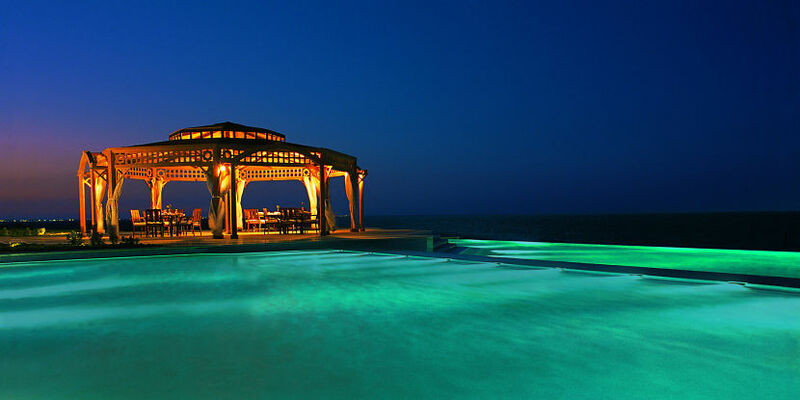 Guests would love to relax in Pergola after diving or swimming. Zaafran features authentic Indian fine cuisine and serves dinner only. Each evening, you get yourself entertained by traditional music. The Bar offers a classical cocktail, a signature Martini, flavored shisha or Cuban cigar, and iced tea, including pool and courtyard views. For other dates, please call for quotes on 01293 229 895. For other dates and durations, please call for your tailor made quote. Prices are per person based on 2 sharing a room. We Have Successfully Received Your Call Back Request. 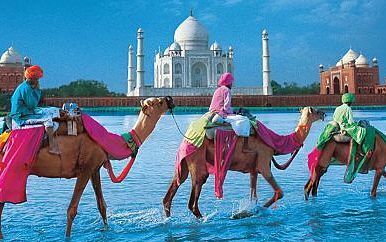 Our Travel Specialist Will Contact You Shortly. We Have Successfully Received Your Request Quotes. 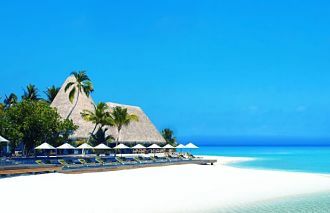 Our Travel Specialist Will Contact You Shortly. You Will Get A Email Notification About Our Latest News And Offers.